Choosing a cool, special birthday present is always a problem for me (and most of the people I know). Price tag aside, the biggest headache is choosing the item that the birthday boy/girl would surely love. Vouchers are always a safe bet but they’re not personal. Luckily, I had this conversation with my buddies a few years ago that gave me one alternative answer to the dilemma of picking a present. Basically, the one thing that normal people would surely love is themselves. So why not give the thing that they love as a birthday present? Well, not literally. You can give the person pictures of themselves. So, what’s so special about pictures of oneself? Well, if you arrange them into a nice design and package everything professionally, those photos could turn out to be great, special birthday presents: a personalized photo book. And Mac’s iPhoto is the perfect tool to do that. 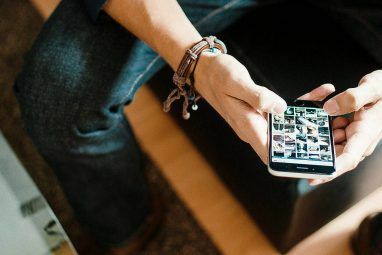 This photo management app provides you with tools to easily build a personalized book from scratch. 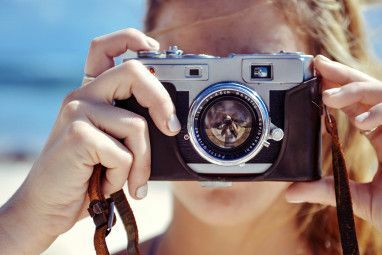 The first tool that you should use is the Faces feature Use Face Recognition to Organize Photos With iPhoto [Mac] Use Face Recognition to Organize Photos With iPhoto [Mac] Read More which will allow you to find photos that contain a certain person in them – among hundreds of photos in your library. 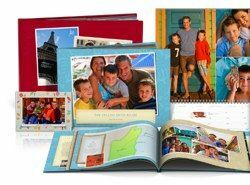 If you want to create a personalized photo book as a birthday present, this feature is essential. The next step is creating the actual book itself – the digital version first – and it’s as easy as clicking a few icons/buttons. Select one of the “Faces” that you want to insert into the book and click the “Book” icon in the lower bar of the iPhoto window. As with other iApps such as iWeb iWeb - Build A Quick, Easy & Beautiful Website [Mac only] iWeb - Build A Quick, Easy & Beautiful Website [Mac only] Read More and Pages How to Create Impressive Pages Documents and Templates on Mac How to Create Impressive Pages Documents and Templates on Mac The price isn’t the only reason to give Pages a spin — it's packed with ready-to-use templates that will make your work look fantastic. Read More , there are tons of ready to use picture book templates that you can choose. You can also customize the book types: such as the size, cover and bindings. After you are settled with your options, click the “Choose” button and go on to the next step. A blank photo book based on the template that you chose will be created in the middle of the window. While at the top of the window, theres a picture strip with all the photos coming from the “Faces” collection of the person that you chose. Then drag and drop one of the photos to be the cover. You can edit the size of the picture by moving the slider, and also the position by using the hand icon (Pan tool). The first page is a description that you can edit. And the rest is a matter of dragging and dropping photos to fill in the book. Flip the pages and insert the pictures. Depending on what template you choose, there might be some other pages with texts that you can edit such as the inside covers of the dust jacket and the back cover of the hardback version. There are other tools that you can use to enrich the “building a personalized picture book” experience. To let iPhoto automatically fill in the pages with photos, use the “AutoFlow” tool. “Add Pages” tool is to go beyond the default number of pages set for that particular template. You can change the layout of the page using the layout tool. For example if you want to change the description page into a photo page, or to switch from portrait to landscape. Another thing that you can modify is the background color. Choose whether you want to use white, grey or black. You can also change the theme (template) that you use on the fly. Just click on the “Themes” icon. But please note that you may lose any text that you added to the book (such as in the description page). Clicking “Adjust” while selecting an image will give you several quick photo editing tools How to Edit Your Photos Easily With iPhoto [Mac] How to Edit Your Photos Easily With iPhoto [Mac] Read More . While the Settings button is there for you to change the font types and sizes used throughout the book. The last step in this birthday gift creation process is printing the book. The easiest way is by clicking the “Buy Book” button at the bottom right of the window. You will be taken to the Apple site where you can order the book, and Apple will professionally print the book and deliver it to your door. But for those of you who think that getting the book from Apple is out of the question (because of your geographical location or another reason), you can choose some other options. You can either print the book yourself, or save it as a PDF file How To Easily Create & Annotate PDF Documents How To Easily Create & Annotate PDF Documents Read More and bring it to the local printer. After you have the physical product in your hand, all that’s left to do is gift-wrap it and then deliver it to the birthday boy/girl. I’m sure this gift will be an unforgettable one. Do you have other cool ideas for birthday presents? Have you tried to create picture books? Share using the comment below. Explore more about: iPhoto, Photo Album, Printing.